Alexya Dorsett-Williams, BSc MBBS MSc DM Family Medicine, was born and raised in Nassau, Bahamas. She is a 1989 graduate of St. Anne’s High School. She attended the College of the Bahamas before completing a Bachelor of Science Degree in Biology and Chemistry from Acadia University in Nova Scotia, Canada. 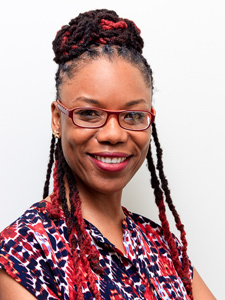 Dr. Dorsett-Williams pursued her medical studies at The University of the West Indies (UWI), Trinidad Campus and School of Clinical Medicine and Research (UWI SCMR), Nassau, Bahamas. She graduated as a medical doctor in 2001. She then went on to pursue specialty training in Family Medicine at UWI SCMR and attained a Master of Science Degree (MSc) in 2006. After a hiatus Dr Dorsett-Williams completed a Doctor of Medicine (DM) Degree in Family Medicine in 2015. She is a Senior Registrar in the Department of Family Medicine at the Princess Margaret Hospital and is pleased to now join the team of the Family Medicine Center. Dr. Dorsett-Williams enjoys solving logic puzzles, taking nature walks and spending time with family and friends. She is married to Barry Williams, and they have two beautiful daughters, Ambrosine and Xandria.